How better to mark International Womens' Day than to introduce you to one of Brisbane's most distinguished ladies? Currently undergoing a facelift - not out of any vanity, mind, but from sheer necessity - the great 'lady' is in fact a building. 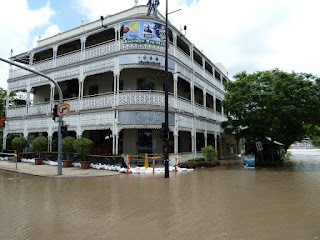 One of Brisbane's most historic and iconic, The Regatta Hotel. 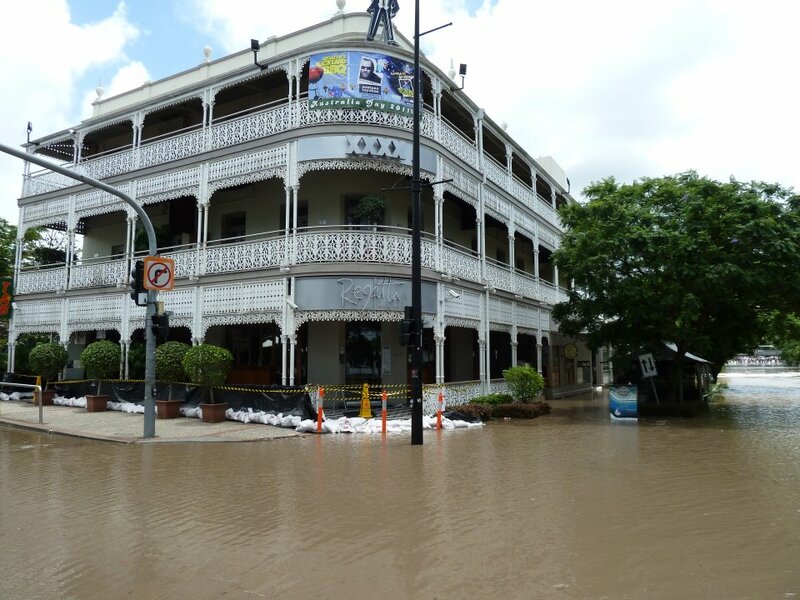 Overlooking the Brisbane River for nearly 140 years, and offering perhaps the best view from one of the city's most scenic verandahs, the Regatta has stood the test of time - and the southeast's wild weather! The iconic pub has flooded six times, including during last year's devastating floods, yet still remains as elegant and watchful as ever. Proof, that you can't keep a good girl down. One of my favourite stories about the Regatta, involves two brilliant Brisbane women, Rosalie Bognor and Merle Thornton (mum of Australian actress Sigrid), who in 1965 chained themselves to the public bar. The feisty women refused to leave until they were served beers, and when bar staff refused, sympathetic men shouted (treated) them! The womens' protest helped lead to a change in laws which finally allowed females the right to prop up bars alongside men in Queensland. The Regatta Hotel is classified by the National Trust of Queensland, is on the Queensland Heritage Register in 1992, and has been entered into the Register of the National Estate of Australian Heritage Commission. Each of us was presented with a wonderful collection of memories from the Regatta's colourful past, including last year's horrific floods. Fruit salad. To balance out the scones. And I don't know why I didn't take a photo of the coffee because it was truly fantastic. Definitely a good spot to meet for a catch-up because the parking is easy too. The downstairs area which is still being rebuilt to turn the bar into an even better version of its former self. In any case, the loo is long gone, and the boatshed will reopen newer and better than before, complete with trendy see-through kitchen and delicious menu. Got a friend who lives in the Redlands area whose kids have all worked in The Regatta through out their early Adult lifes. Have been in there a lot to see them with their mum or even have lunch/dinner with them while they had their lunch/dinner break.